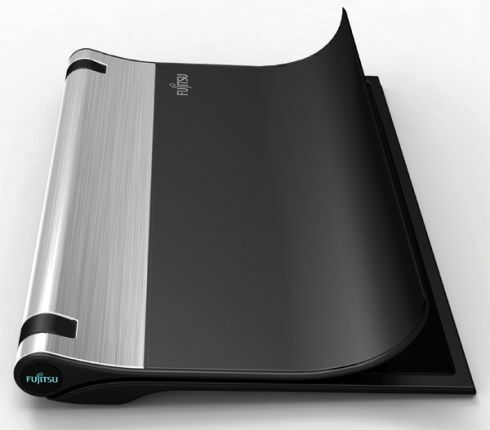 Kim Min Seok created a very interesting Fujitsu laptop dubbed “The Real Notebook”. 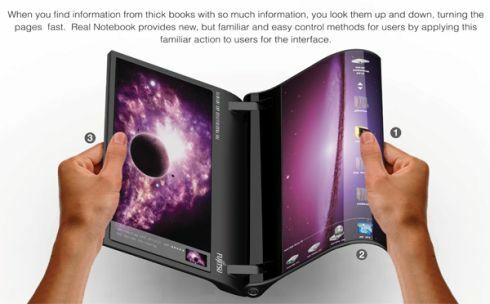 The idea behind this device is to use just like you would do with a real life notebook made of paper… It involves bendable AMOLED screens and the design of the gadget actually reminds me of the Sony S1 tablet a bit. You also get a preview display, a page turning motion and folder action. 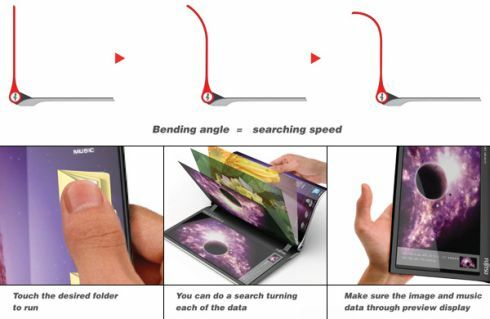 Folding pages is the gesture you’ll be using to get around menus on this device. Its rounded central area, the one that looks like the upper part of the Sony S1 is done that way in order to get a better grip. With an affordable price and flexible AMOLED displays supplied by Samsung, this wonderful notebook could replace magazines and paper notebooks any time now. Do you see yourself going to classes with a device like this or do you prefer an iPad?